Hsp60 is a molecular chaperone which assists protein folding in prokaryotes and in eukaryotic cell organelles. In mitochondria, Hsp60 is considered an essential chaperone for the protein import into the mitochondrial matrix. Hsp60 functions together with its co-chaperone Hsp10 also residing in mitochondria 40, 165, 166. Most information on Hsp60 and Hsp10 derives from studies on their prokaryotic homologs, GroEL and GroES, respectively. As already mentioned, GroEL and GroES assemble in a barrel-shaped oligomer. In vitro studies by Ryabova and colleagues revealed a self-organization of the GroEL/GroES complex 293. According to this work, unfolded monomeric GroEL and GroES are folded very rapidly into the oligomerization-competent form. The oligomerization process depends on the concentration of the monomers and, in the case of GroEL, requires the presence of Mg2+, adenine nucleotides and GroES. For GroES oligomeriztaion, no specific factor is needed to induce subunit assembly. GroEL forms an unstable intermediate ring heptamer which is stabilized in the presence of heptameric GroES. Heptameric GroEL and heptameric GroEs then constitute a stable two-ring GroEL14 structure in the absence of Mg2+/ATP(ADP). For more detailed information see Ryabova et al. (2013)293. As already mentioned, GroEL and GroES rapidly constitute a GroEL14/ADP7/GroES complex in the presence of Mg2+/ATP 145, 146. Since the GroEL chaperonin shows high affinity only to one heptameric GroES, previous studies primarily demonstrated the appearance of one GroEL particle in the complex with one GroES heptamer 25, 137, 145, 147. GroEL can also form a complex with two GroES heptamers depending on the K+ concentration and the ATP/ADP ratio 148 (Figure 4). As illustrated in this Figure, a polypeptide destined for folding translocates into the folding chamber of one ring followed by its capping with heptameric GroES. In this GroES-bound ring (cis ring), folding of the unfolded polypeptide occurs in the presence of ATP; the second unliganded ring is referred to as the trans ring. A further folding process is started in the second (trans) ring after realese of ADP and the folded protein as well as the dissociation of GroES. 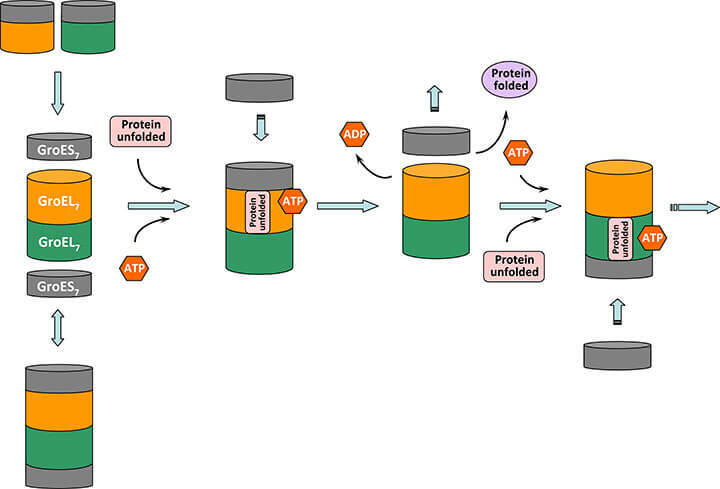 The molecular mechanisms involved in this process are described in detail in the Structure section. 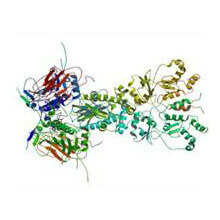 Apart from TRiC which appears to function, at least in vitro, independently of a co-chaperonin 122, Hsp60/GroEL acts in association with Hsp10/GroES. Cytosolic as well as mitochondrial isoforms of Hsp60 play crucial roles in both, pro-apoptotic and pro-survival pathways 174. Hsp60 exerts pro-apoptotic properties by cleaving and activating pro-caspase-3 45, 221. In Jurkat cells stimulated to undergo apoptosis by a Fas-independent pathway, Hsp60 was shown to efficiently accelerate the maturation of pro-caspase-3 by different upstream activator caspases including caspase-6, and this effect was dependent on ATP hydrolysis 221. Studies by Samali and collaborators demonstrated that Hsp60 is present in the mitochondria in a complex with Hsp10 and pro-caspase-3 in growing cells 45. Induction of apoptosis with staurosporine was found to activate mitochondrial pro-caspase-3 and to induce its dissociation from the HSPs which are then released into the cytosol. Released HSPs accelerated maturation of cytosolic pro-caspase-3 by cytochrome c in an ATP-dependent manner prior to a loss of the mitochondrial transmembrane potential, consistent with their pro-apoptotic function 45. The group of Dean G. Tang was about the first who shed light on the molecular mechanisms responsible for the ambivalent nature of Hsp60 confirming a key role of pro-caspase-3. The authors demonstrated a pro-apoptotic role of Hsp60 after its release from mitochondria and accumulation in the cytosol with subsequent activation of pro-caspase-3 174. Notably, Hsp60 has been identified to exert anti-apoptotic functions in the cytosol without a previous release from mitochondria by inhibiting pro-caspase-3 under apoptotic conditions, since Hsp60 knockdown by siRNA promoted programmed cell death. In this certain case, Hsp60 did not associate with active caspase-3 and did not interact with pro-apoptotic Bax 174, but with anti-apoptotic client proteins such as the cell cycle regulator and apoptosis inhibitor survivin 219. In this context, Hsp60 knockdown resulted in rapid destabilization and accelerated destruction of survivin culminating in mitochondrial apoptosis. Mitochondrial apoptosis plays a critical role in tumor maintenance and dictates the response to therapy. In an attempt to identify the regulators in this process, Ghosh et al. convoncingly demonstrated that Hsp60 directly associates with cyclophilin D (CypD), a component of the mitochondrial permeability transition pore 294. 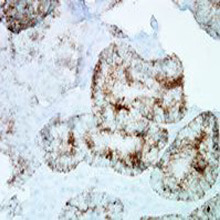 This interaction takes place in a multichaperone complex composed of Hsp60, Hsp90, and tumor necrosis factor receptor-associated protein-1 (Trap-1), selectively assembled in tumor but not in normal mitochondria. This mitochondrial chaperone network has been postulated to be essential for tumor maintenance, as silencing of Hsp60 triggered CypD-dependent permeability transition, apoptosis, and suppression of tumor growth in vivo 294. The studies by Ghosh et al. identified a further client of Hsp60, the tumor suppressor p53 whose function is inhibited by bound Hsp60. p53 is a transcription factor which helps to eliminate potential tumor progenitor cells by acting as an apoptosis inductor 295, 296. After knockdown of Hsp60 by RNA interference, p53 is released from the complex with Hsp60 thereby inducing Bax-mediated apoptosis 294. The group of Francesco Cappello provided further insight into the anti-apoptotic role of Hsp60 in tumor cells by demonstrating the existence of an Hsp60/pro-caspase-3 complex before and after oxidative stress which blocks maturation and activation of pro-caspase-3 223. However, the anti-apoptotic function of Hsp60 became evident particularly in human cancers by the fundamental work of Cappello and co-workers in 2003 revealing an upregulated expression of Hsp60 in tubular adenomas and infiltrating adenocarcinomas during colorectal carcinogenesis 297. These findings indicate that Hsp60 overexpression represents an early event in colorectal carcinogenesis exhibiting different roles in malignant and nonmalignant cells. From these observations it can be concluded that anti-apoptotic and thus pro-survival functions of Hsp60 in cancer obviously comprise (i) survivin stabilization, (ii) p53 functional repression, and (iii) CypD-mediated mitochondrial permeability transmission (for a review see Ciocca et al. 2013 298). Several investigations within the past years showed that Hsp60 can interact directly with molecules in various cell compartments. However, the list of client proteins for Hsp60 is still incomplete (for a compilation of Hsp60 clients see Cappello et al. 2013 49). Hsp60 has been found in the cytosol to play a critical role in signalling pathways mediated by steroid hormone receptors (SHRs) 299. In the absence of the steroid hormone, SHRs reside in the cytosol bound to a complex of HSPs, chaperones and co-chaperones referred to as the foldosome 299. A set of several client proteins including Hsc70, Hsp90, and p23 participate in the assembly of the foldosome 300. 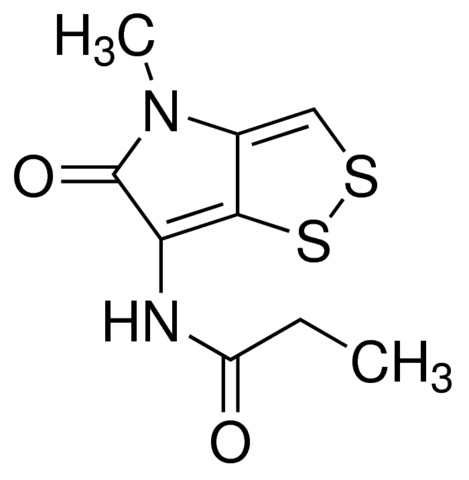 Hsp60 has been described amongst a set of various chaperones and co-chaperones to have nuclear effects on SHR action 299,301,302,303. These molecules are not directly involved in foldosome assembly but associate with it thereby triggering SHR signalling 299. With respect to metastasis, Hsp60 has been found as being crucially implicated in metastasization of various tumor entities through activation of β-catenin 304. Moreover, overexpression of Hsp60 has been found to increase β-catenin protein levels through the apical domain and to upregulate its transcriptional activity 305. HSP60s also appear on the cell surface of normal and malignant cells where they elicit immune responses and affect tumorigenesis. 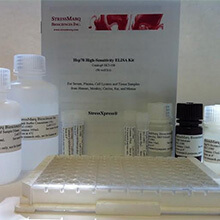 In metastatic breast carcinoma cells, surface Hsp60 has been found as being associated with α3β1-integrin essential for mediating the adhesive properties of epithelial cells affecting cell growth and differentiation 306. In many epithelial malignancies, altered integrin expression is associated with tumor progression and often correlates with unfavorable prognosis. Induction of α3β1-integrin activity results in enhanced motility and adhesion of breast cancer cells 307. On the other hand, engagement of α3β1-integrin stimulates endothelial cell proliferation and angiogenesis 308. 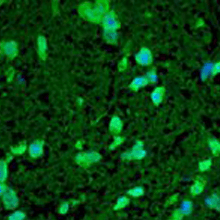 Hsp60 client proteins also comprise the microglial triggering receptor expressed in myeloid (TREM) cells 2 (TREM-2), known to play a protective role in bones and brain. Mutations of the receptor sustain in fact a genetic disease affecting the two organs. Hsp60 exposed at the surface of neuroblastoma cells and astrocytes binds to TREM-2 and stimulates phagocytosis by microglial cells under pathological conditions 309. In contrast, Hsp60-complexed TREM-2 coordinates numerous functions of diverse brain cells under nonpathological conditions 309. In this context, LOX-1 (lectin-like oxidized low-lipoprotein receptor 1), a member of the scavenger receptor family, has recently been identified as a novel Hsp60 receptor. Interaction of extracellular Hsp60 with microglial LOX-1 was found to boost the production of pro-inflammatory factors (IL-1β, NO and ROS) in microglia and to propagate neuronal damage 310. From these findings it can be hypothesized that LOX-1 is essential in microglia for promoting an inflammatory response in the presence of soluble neuronal injury signals such as extracellular Hsp60, thereby linking neuroinflammation and neurotoxicity 310. Extracellular Hsp60 has been reported to bind to a broad spectrum of cell surface receptors including CD14, CD40, the C-type lectin receptor Lrp-1 (CD91/α2-macroglobulin receptor) as well as TLR-2 and TLR-4 5,228,229,230. Since extracellular residing HSP60s are able to stimulate cells of the innate immune system directly and thus act as danger-signalling molecules for the immune system 311, 312, these stress proteins have been added to the list of ‘alarmins’. Endogenous alarmins and exogenous PAMPs both comprise the group of danger-associated molecular patterns (DAMPs) 313. Hsp60 has recently been identified to interact weakly with Dectin-1, a further member of the C-type lectin receptor family, on the surface of CHO-K1 cells stably transfected with Dectin-1 314. It has been well-established that Dectin-1 induces innate immune responses through caspase recruitment domain-containing protein 9 (CARD-9)-mediated NF-κB activation. CARD-9 regulates H-Ras activation by linking Ras-GRF1 to H-Ras, which mediates Dectin-1-induced extracellular signal-regulated protein kinase (ERK) activation and pro-inflammatory responses after ligand stimulation thus playing an important role in host innate immune responses against fungal infection 315. The ability of CD91 to function as a binding receptor for Hsp60 has come under scrutiny due to investigations demonstrating that CD91 is not involved in Hsp60 binding because Hsp60 binding to macrophages could not be competed by excess Hsp70, Hsp90, or Grp94 (gp96), all of which share CD91 as binding site 316. Studies on Hsp60 binding using different antibody clones directed against CD91 confirmed these results. According to Habich and Burkart, pre-incubation of macrophages with anti-CD91 antibodies did not block Hsp60 binding to these cells 242. Moreover, Hsp60 failed to impair binding of Grp94 to immune cells indicating that receptor structures for Hsp60 and for the common receptor for Grp94, Hsp90 and Hsp70 differ markedly from each other 316. Noteworthy, there is a special burden of proof on molecules suggested to act as putative HSP60 receptors that are also capable of binding LPS (e.g. TLR-2/-4, CD14, CD40). It has been proposed that the apparent pro-inflammatory effects of Hsp60 and other HSPs are related rather to the effects of LPS or other factors associated with the HSPs 311,317. This proposal is supported by the inability of anti-TLR-4 or anti-CD14 antibodies to interfere with the binding of Hsp60 to macrophages 242,311. From these observations it can be concluded that Hsp60 binding to innate immune cells might be independent of TLR-1/-2 and CD14 311,316. However, this aspect needs further clarification the more so as evidence has been used to argue against this thesis 311, 318,319. Evidence has accumulated demonstrating the activatory capacity of Hsp60 on inflammatory adipocytes. Volker Burkart and Christiane Habich characterized the initial Hsp60 binding to adipocyte receptor structures and demonstrated the ability of Hsp60 to induce the release of inflammatory mediators (e.g. IL-6, CXCL-1; MCP-1), implying that inﬂammatory adipocyte functions are under control of stress proteins as potent endogenous danger signals contributing to diabetes pathogenesis 320,321,322. As already mentioned, human Hsp60 stimulates pro-inflammatory reactivity in innate immune cells. Incubation of DCs with Hsp60 results in a marked release of TNF, IL-6, RANTES and MIP-2 242. Hsp60 also induces expression and release of further pro-inflammatory factors such as IL-1β, IL-12, IL-15, NO, MCP-1 and MIP-1α promoting Th1 type responses 228,240,241,242,243,323. Hsp60 provokes maturation of DCs via upregulated expression of MHC II molecules and the co-stimulatory molecules CD40, CD54 and CD86 242,243. The generation and release of pro-inflammatory mediators from innate immune cells is obviously mediated by the stress-activated c-jun N-terminal kinase (JNK1/2), p38MAPK, ERK-1/-2 and NF-κB pathways 232,242,323.